Photographs by Bettina Rheims. Text by Catherine Millet. Schirmer/Mosel, Munich, 2007. 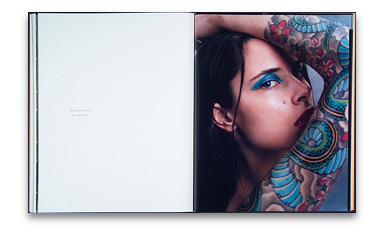 160 pp., 80 color illustrations, 9½x12". How do women feel in haute couture? Heroines, Bettina Rheims' 2005 photo series of 50 women sporting the newest Parisian haute couture creations provides answers that range from perplexing to provocative. 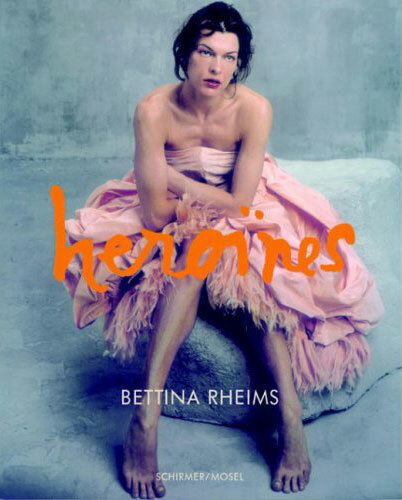 As usual with Bettina Rheims, this is not about fashion photography. Rather, she allowed her models, by no means all professionals including, for example, Laetitia Casta and Milla Jovovich, to do what they wanted with the fine clothes along the lines of the photographer's de-constructivist concept. Her highly aesthetic pictures subtly undermine a commercial as well as a voyeuristic, male view and reveal fascinatingly disconcerting insights into the world of haute couture and those who wear it. Heroines was produced in collaboration with fashion designer Jean Colonna, who was responsible for the layout and design. The introduction was written by Catherine Millet, author of The Sexual Life of Catherine M.